Since the 1940s Cy Twombly has created sculptures from everyday materials and objects: boxes, cans, wooden stands, nails, willow rods, palm leaves. Usually painted with white gesso, they seem to cancel gravity and own an idiosyncratic, suspended beauty. 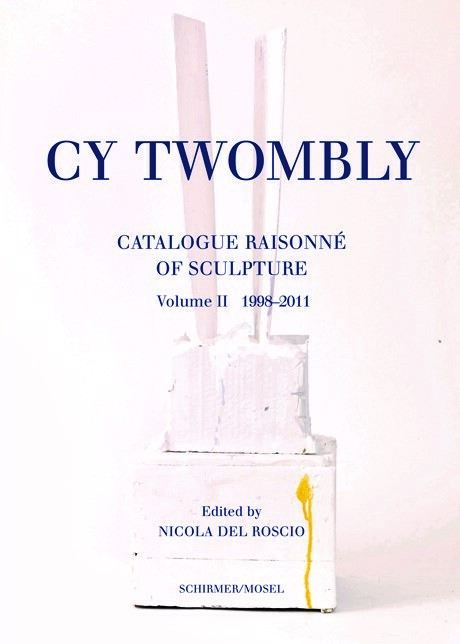 Volume II presents the works created between 1998 and the artist’s death in 2011, completing this "Catalogue Raisonné of Sculpture". Schirmer/Mosel. Ed and with an introduction by Nicola Del Roscio. 352 pages, 160 colour plates. Size: 24.5 x 34 cm, hardcover. English edition. Pub date: Wednesday 15 May, 2019.